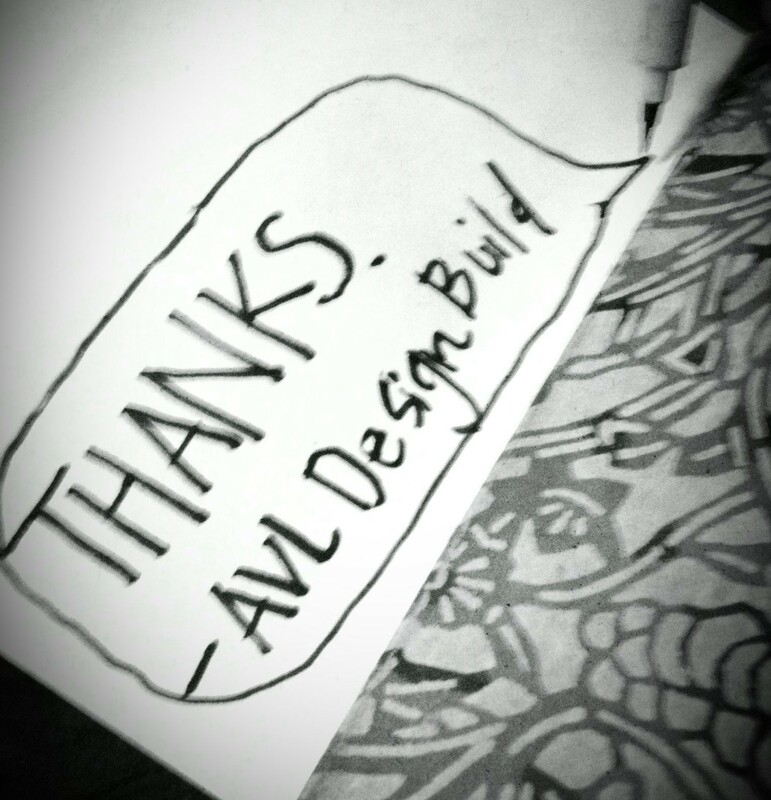 It’s Official: Asheville DesignBuild Studio 2015 is ON! 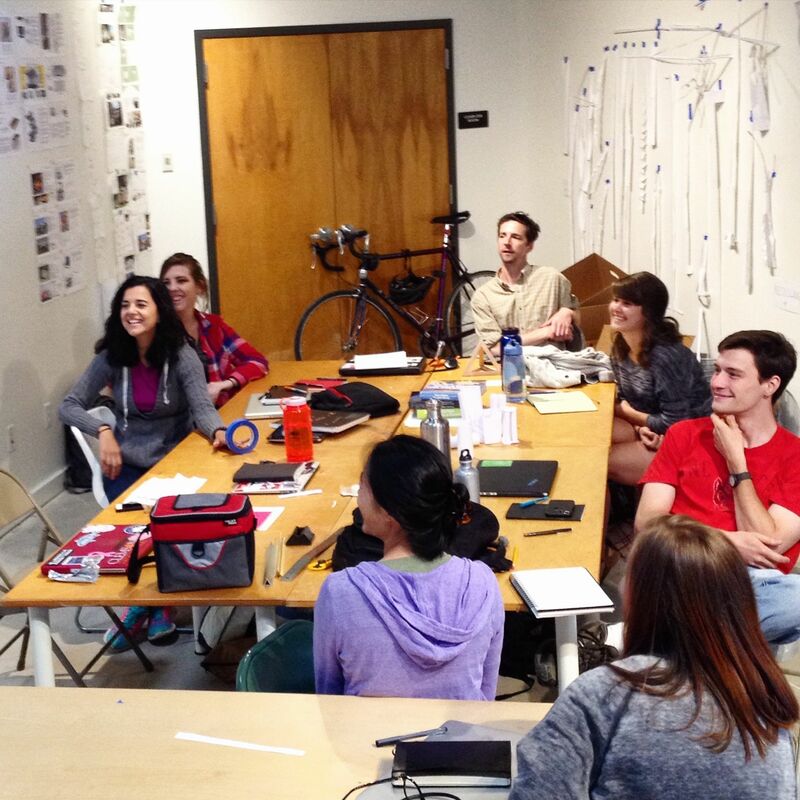 The 2015 DesignBuild Studio kicked off on Monday at the beautiful Center for Craft Creativity and Design building in historic downtown Asheville. This year’s class of 13 includes students from a variety of disciplines, including architecture, landscape architecture, management, engineering, and sustainability technologies . The students hail from 7 universities in the Southeast and Mexico. This week, students attend class with instructors Luke Perry and Miriam Gee in the morning and hone their construction skills in the afternoons at AB Tech. On Thursday, students present and critique their first suggestions for the ULEAF Mobile Performing Arts Lab. The design must expand to reveal at least 14’x20′ of stage and be towable by LEAF’s Easel Rider. The design must be functional and durable, yet retain some aesthetic appeal or mystery when folded. “We should think of this of a sort of ambassador for the program,” one student says. Additionally, the stage needs to be simple and intuitive for two people to set up and break down. Instructor Miriam Gee points out that the stage will often be packed in the dark for nighttime performances, while instructor Luke Perry gives a cautionary tale to nudge students towards a timeless aesthetic. After the presentations, Miriam breaks out the sharpies to talk about consensus building. After the intern (full disclosure: this post is written by the intern) mentions this article, the students decide that plants are a must. Some good old fashioned fun, they decide, is the basis of workplace synergy. So far, the student bucket list includes inner tubes, disc golf, and of course, building the ULEAF. Have any suggestions for Asheville area essentials for the students? Let us know in the comments! This entry was posted in 2015: ULEAF, AVL Design Build and tagged CCCD, Collaborative Learning, LEAF. Bookmark the permalink.